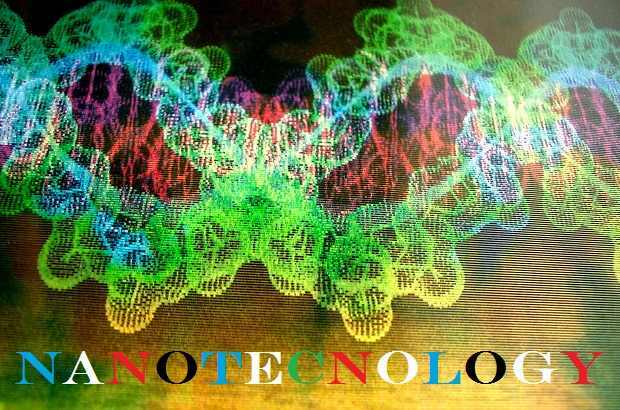 Home / electronics / latest technology trends / nanoparticles / nanoscience / nanotechnology / technological advances / technology / Applications of Nanotechnology: Are There Any Negative Effects of Nanotechnology? Applications of Nanotechnology: Are There Any Negative Effects of Nanotechnology? Nanotechnology is one of the fields of materials science that directly relates to physics, mechanical engineering, bioengineering, and chemical engineering, where it forms a range of disciplines that look at material's properties at the micro level. There are many applications of nanotechnology in different areas of life. There is no doubt that this age is the era of the scientific and technological boom. There is a sequence of technological advances which are the most prominent features of this century. One of the most sophisticated technologies we often hear is "Nanotechnology". Nanotechnology, also known as nanoparticle technology or nanotech, is the technology that studies the ability to manipulate matter on the atomic scale, which aims to devise new nanometer-sized particles using technologies and instruments, which are part of a thousand micrometers. This technology is not only specialized in biology but also extends to the properties of materials. Nanotechnology deals with any phenomena at the level of nanostructures, which can lead to new electromagnetic and optical phenomena of matter that were not known before. Nano- (symbol n) is a unit prefix which is a very small unit of measurement and used primarily with the metric system and denotes a factor of 10−9 or "one billionth". It is impossible to see nanoparticles with the naked eye or some simple amplifiers. Nano is used in atomic measurements to determine the size of the molecules in the material. The science that studies the possibility of changing the material at the level of nanometers called nanotechnology, which produces new materials or advanced devices to serve the interests of humanity in different fields. Nanoscience or nanotechnology is one of the fields of materials science that directly relates to physics, mechanical engineering, bioengineering, and chemical engineering, where it forms a range of disciplines that look at material's properties at the micro level. This technology can be defined as a scientific application concerned with the production of objects by assembling them at the micro level using their basic components of atom and particles. Nanotechnology enables scientists to make something new, and here may produce new materials with new characteristics not previously known, and it opens many areas in front of humans to discover materials that contribute to the development and service of humanity. The fields of electronic devices: Nanotechnology was the most important technological development in the twentieth century, which contributed to the manufacture and invention of silicon electronics or transistor and electronic laboratories, and emerged in so-called small segments that led to a technical revolution in all areas: communications, the computer, and medicine. After 1950, the invention of small slices led to the simplest application and help for technology in the modern world that they created the color television, which was previously given only high-priced black and white television, but they made it easy for everyone to have a color television for himself and his family. LED technology present in television screens and smartphones that have become more beautiful and clear. The field of microelectronics: There are so-called semiconductors, which combine metallic and nonmetallic properties. This variation in physical and chemical behavior can be used for modern science. Nanotechnology is here to make these semiconductors with electronic properties by extrusion of metal alloys of these elements - the silicon element - for example, fine elements of the accuracy of nanoparticles such as phosphorus, to form our so-called Diodes and Transistors, which are the chips used in the manufacture of computers, central processing units, and all electronic and electrical devices. Medical field: Scientists have been able to make precision blood-size machines to treat many surgical conditions such as arterial blockages and tumors. Electronic nose (e-nose) is invented with the help of nanotechnology, using carbon nanotubes to diagnose cancer diseases by analyzing the air that comes out of the lungs during the exhalation process. In the fields of medicine, nanotechnology has provided amazing work. Scientists have recently created microrobots that can move in the arteries and inside the body, and then allow the treatment of blood clots through a fleet of robots. In this process, microrobots are injected into the diseased area for immediate treatment. The study of the primary components of cells, and their properties using magnifying microscopes, as well as the pharmaceutical industry, microscopic injection, DNA study, cell proliferation in chronic diseases, Staphylococcus and others, are all applications of nanotechnology. Aeronautical field: The National Aeronautics and Space Administration (NASA) has created precision nanotechnology machines to inject them into astronauts to monitor health conditions. Energy Field: By using nanotechnology, many storage batteries are produced that store large amounts of energy and for long periods, thus producing clean, low-cost, non-oil-based cars. Industrial field: We see nanotechnology in many industries, through the careful use of manufacturing technology, as well as trying to reduce the sizes of industries and make them achieve the basic goal and in smaller volumes, and may also, lead us to reduce the economic burden by finding solutions less expensive than it is now. Nanotechnology is used in a smart clothing industry that produces energy, removes dirt and germs by itself, as well as a solid material industry that outperforms steel with a lightweight, and in the dust-resistant, heat-resistant glass industry, and a three-dimensional, transparent and flexible display. This technology is used in the manufacture of a range of commodities, especially those that use nanoparticles of various kinds, such as aluminum and titanium, and therefore they are present in cosmetics and anti-radiation ointments. The nanoparticles block all UV rays and the ointment remains transparent. In addition, they have been added to antibiotics and silver nanoparticles are now widely used in sports clothing to eliminate unpleasant odors of sweat because they are antimicrobial in nature. The nanotechnology revolution contributed to the creation of an environment for joint work between chemists and other specialists in the fields of physics, biology, and engineering until it reached cooperation with materialists, industry, and so that scientists and specialists in each type of science could advance their science quickly. They understand the requirements of other sciences in order to arrive at a mechanism of efficient cooperation among them. The nanoscience specialists are now working on organic chemistry, polymer chemistry, product synthesis, and other fields. They are based on a wide range of options for preparing and creating finite parts with electronic, magnetic, optical, chemical, and mechanical properties, that can be subjected to the interpretation of the system within the finite space. —The small size of the molecules of matter, which means the difficulty of control, or even recognition. —The difficulty of controlling the particles of materials after being removed from their places in order to direct them to new places. —Inability to predict the results of changing molecules, which may mean the appearance of undesirable results. Nanotechnology can cause malignant tumors in those who deal with nanoparticles directly. In nanotechnology, the materials are manufactured using nanotubes that can impact on human health as they can enter the body easily through the pores of the skin or by inhalation because of their microscopic nature, and if entered into the body it is difficult to get rid of them, so there is no medical treatment.